These wonderful storefronts are located on East 2nd Street. 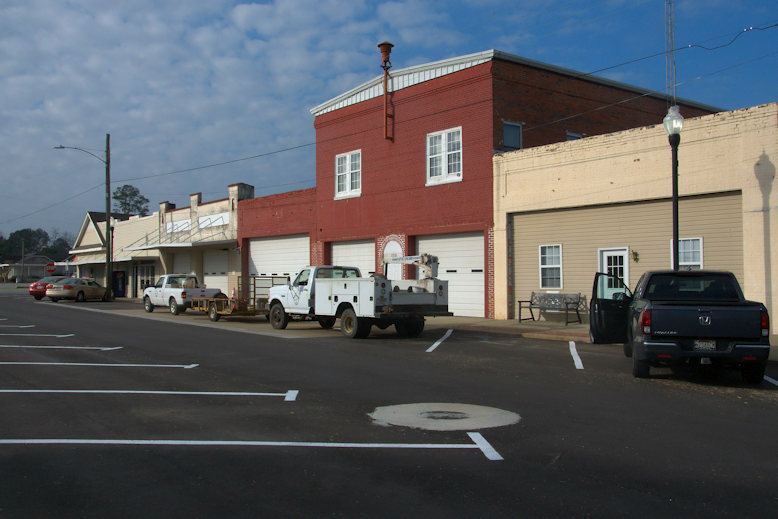 The large red building has served as the Donalsonville fire station for many years, but I believe it will soon be relocated. 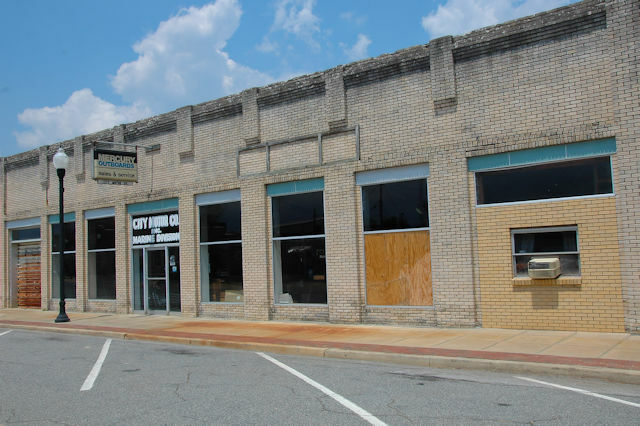 The structure was built for the Chero-Cola Bottling Works and also housed City Hall for a time. When it opened as a silent movie house, the Olive Theatre’s namesake, Olive Dunn, played the piano that accompanied the films. It was restored by the Arts Council and is now used for live performances. The theatre closed in 1949 when the Dunn Theatre, a more modern facility, was opened nearby. 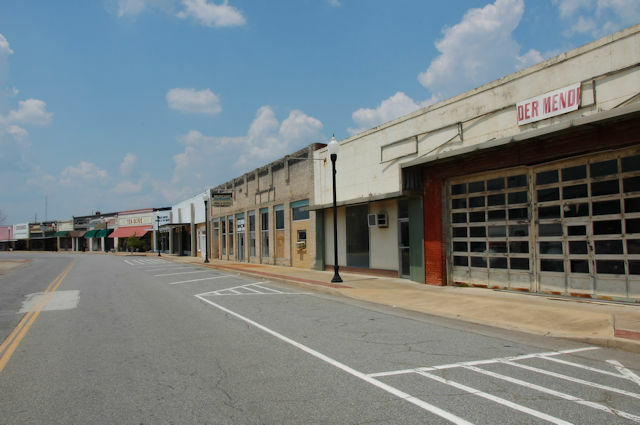 Over the years it housed numerous businesses. 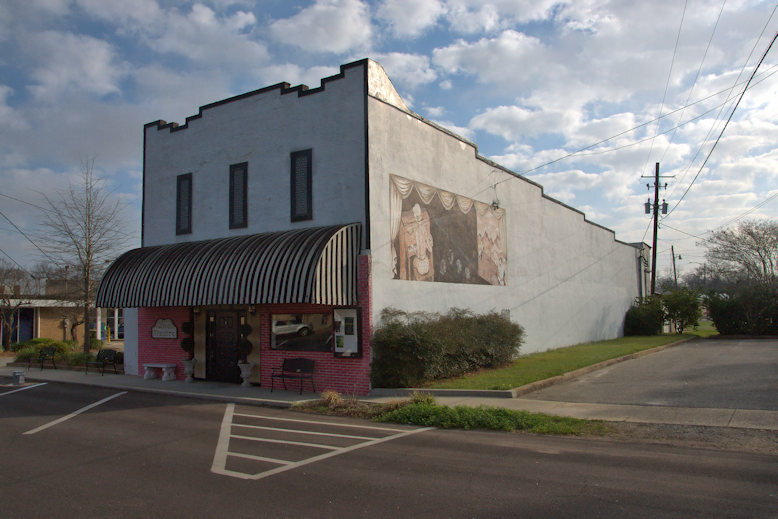 Broome Furniture Company was the last and upon closing the owner donated the building to the Arts Council. Prolific architect William J. J. 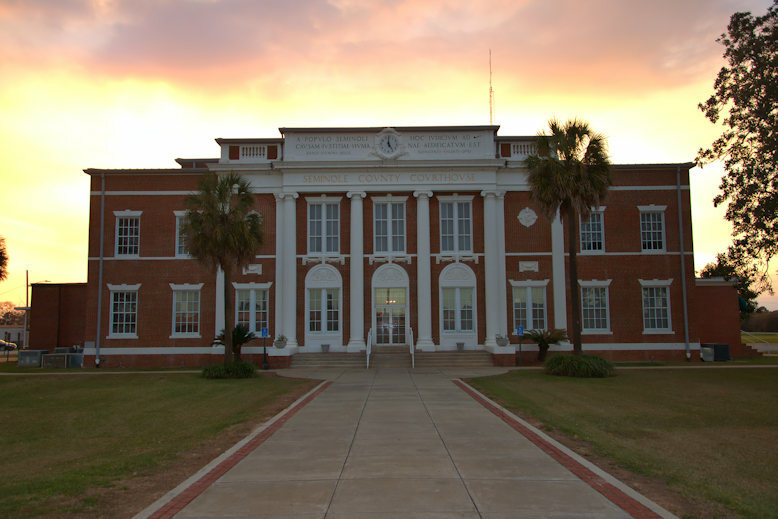 Chase designed this Beaux Arts courthouse for the newly-formed (1920) Seminole County in 1922. The inscription on the frieze reads: A Populo Seminoli Iudicium Ad Causam Iustitiae Humanae Aedifactum Est – Anno Domini Mille Nongenti Viginti Duo. Though I took two years of Latin in high school, my translating skills are rusty at best. My guess is that this means, loosely, To the People of Seminole (County), This is Built for the Cause of Human Justice. The second part is: In the Year of Our Lord 1922. 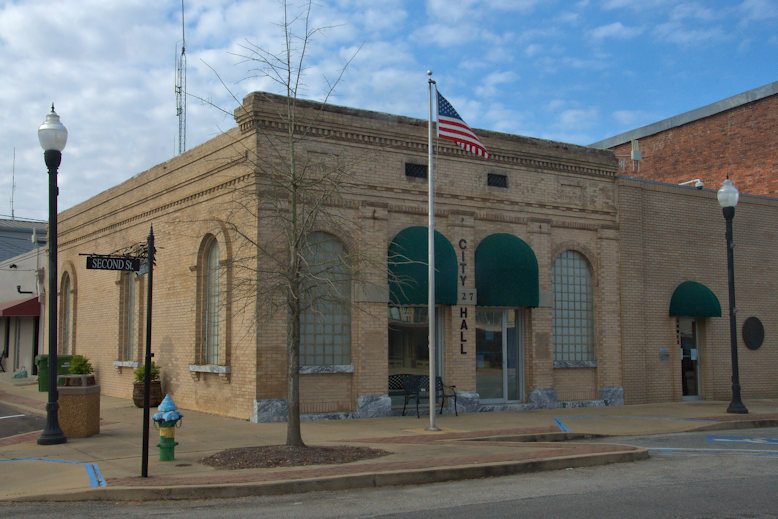 This was built around 1910 as a bank but has served as City Hall for many years. 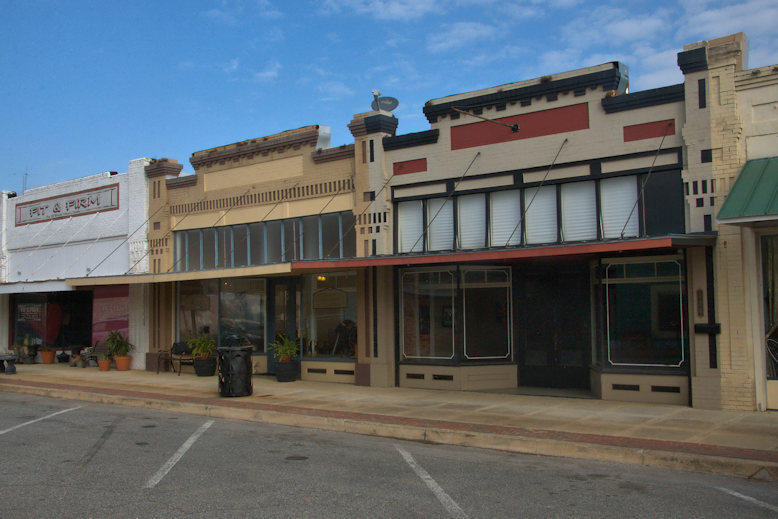 Like many small Georgia towns, Donalsonville still has a lot of commercial storefronts remaining from a time when rural communities were busy centers of trade and commerce. 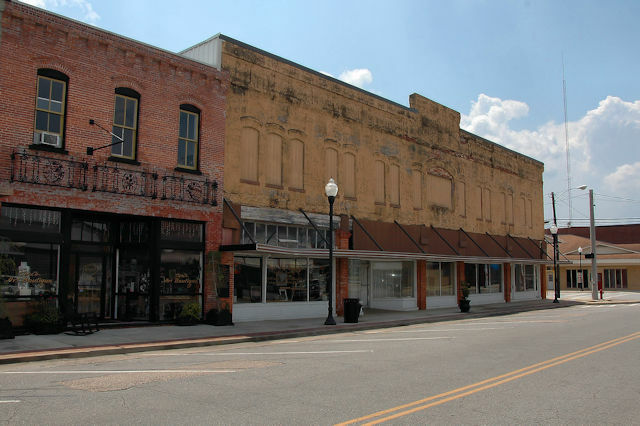 2nd Street was the busiest part of town and still has a large number of storefronts, though many are now empty. This was the City Motor Company’s Marine Division. 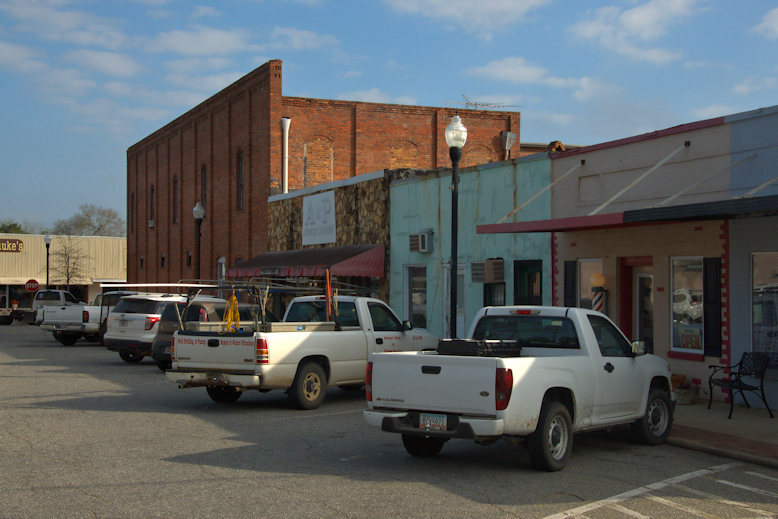 Boating and fishing are still quite important to the local economy, thanks to the proximity of Lake Seminole.